Welcome to the Special Needs Link Party! I’m so glad you could join us! You can link up to 3 blog posts, old or new about special needs, chronic illness, etc. Links must be family friendly – we will delete any that aren’t. By sharing your posts on this blog link-up, you are granting the hosts permission to share your posts on social media including Twitter, Instagram, Facebook, and Pinterest. If you are a featured blogger, you are granting permission for the hosts to share your post and photo while linking back to your post. 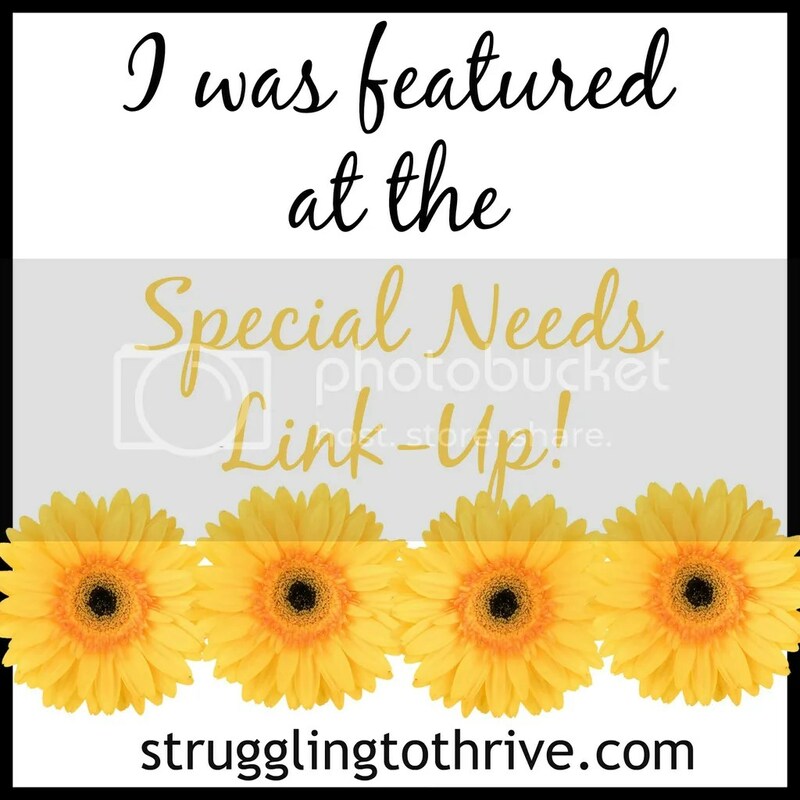 I was featured at the #specialneeds #linkup with @SunshineNspoons @wheelchairmommy @ashleybergris!